The Remaining coins available all at once, or one per month. Whichever suits you best! Congratulations on a great start. So whats next? Congratulations on securing your Queen’s 90th Birthday Coin featuring Maklouf’s official 90th Birthday portrait of the Queen. 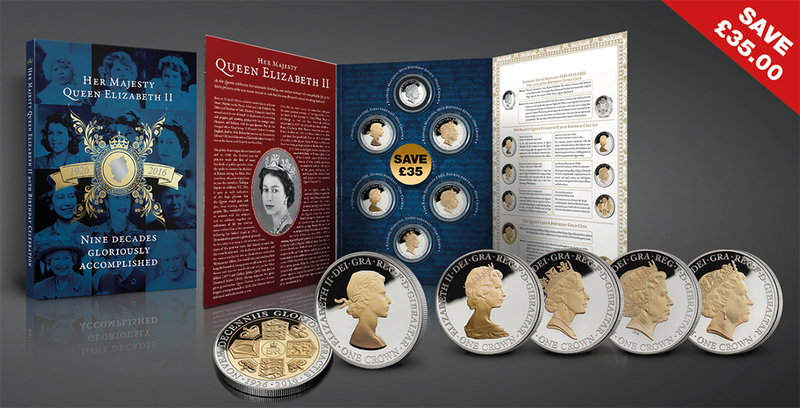 The coin you now own is part of a grand set that celebrates nine decades gloriously accomplished, culminating in H.M. Queen Elizabeth II 90th birthday this year. Only 24,999 Gillick Portrait Coins have been released worldwide. This means less than 8% of all the Queen’s 90th Birthday Coin owners will be able to complete their sets. Astonishingly, the remaining 92% will be disappointed. 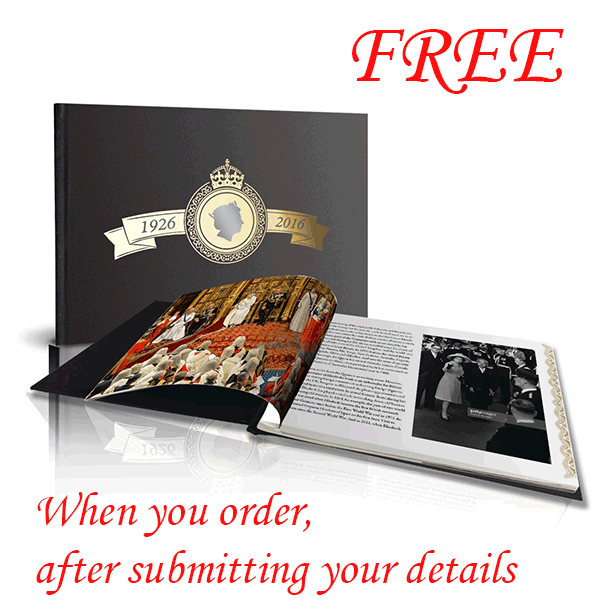 Request further information on how to save £35.00 and secure your free 'Nine Decades Gloriously Accomplished' Book Usually £19.95! Submit your details to be first in line.